I took a little detour yesterday on my way to pick up Annelise from school. I went to visit my mother. 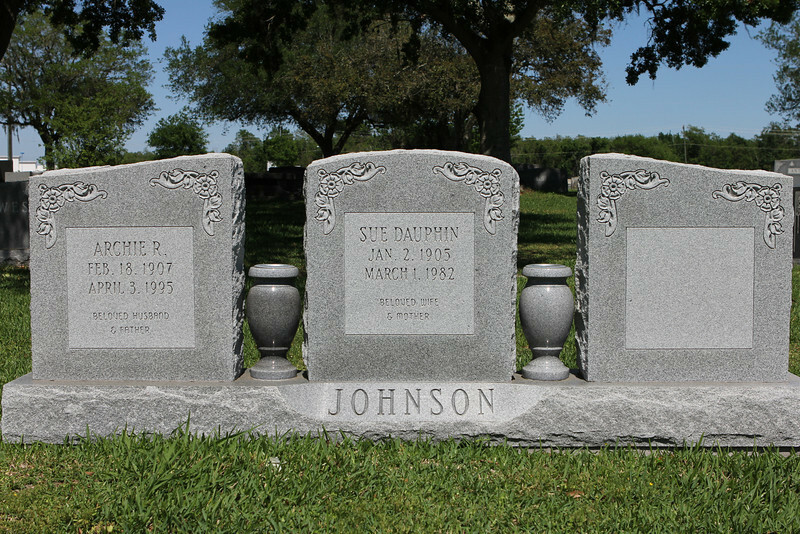 I kind of hate that I had to visit them at the cemetery. I had to drive around the loop at least twice before I found their spot. 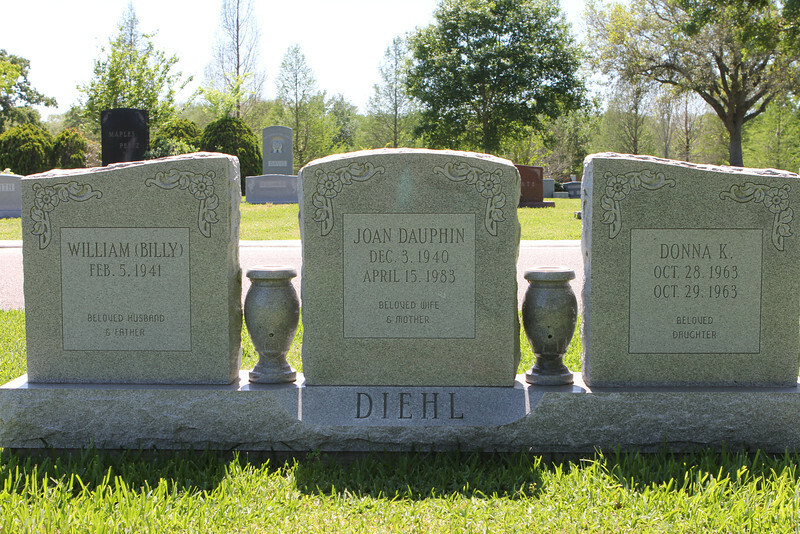 I mean, I knew where they were, generally, but hadn't seen the family headstone since my dad ordered it (in 2006) (I know) and was looking for DIEHL facing the road when I should have been looking for JOHNSON (my grandparents). So, um, yeah...it had been a while. 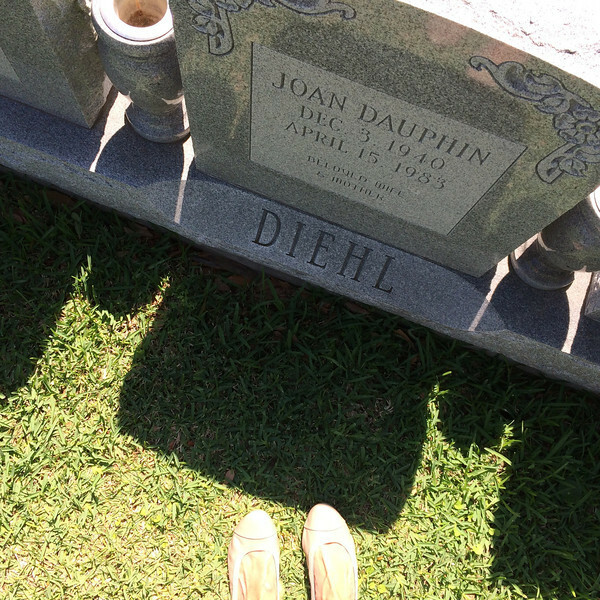 I've always had mixed feelings (obviously) about visiting cemeteries. Some people visit all the time, some only on special days and others, like me...well, not so often. 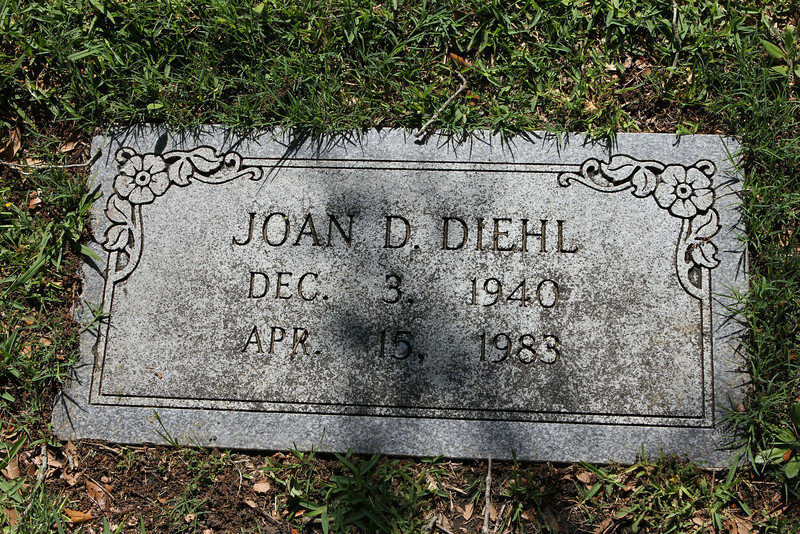 Maybe it's still a touch of denial with a splash of avoidance, even after all these years, but I think about my mom almost every day in some way for some reason and don't feel like visiting a patch of ground and some granite really does that much for me. She's not there. But then sometimes, like yesterday, I do want to visit. I know, I don't know what to do with me either. My grandparents, Archie and Sue, are on one side. And my mom is on the other side. 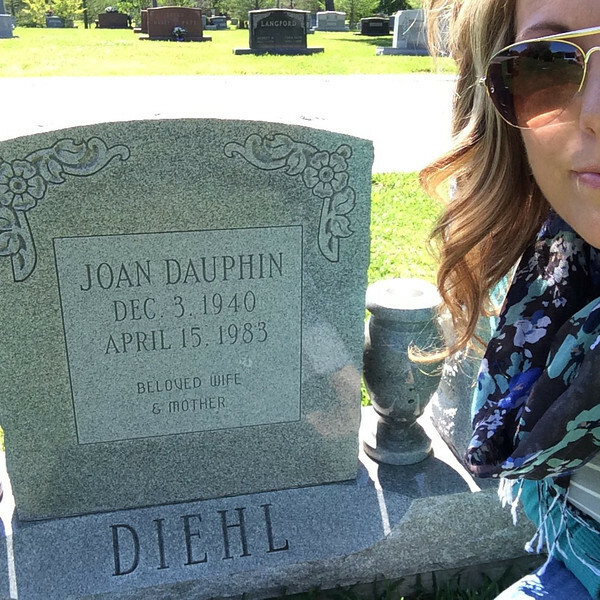 There's a spot for my dad someday and then my sister (that still sounds weird, she was born very premature and back then they just couldn't do as much as they can today) is on the other side of my mom. For years we only had these foot markers, I'm not sure why. I guess we thought they were fine for the moment and would get a bigger marker eventually and then eventually waited until 2006. I also kind of hated that this was the only way to take a selfie with my mother. I apologize if I sound bitter. Maybe I am. A little. I've been missing my mom for 31 years now. And in some ways the hurt is just a whisper and in other ways it still screams. Truth: it freaks me out regularly that I have outlived my mom by three years and that I've been without her longer than I was with her, like, by almost double. And for whatever reason, maybe it was the time crunch of looming school pick-up or the ridunkulousness of getting sort of lost, but yesterday's hurt was only a whisper. But I still miss my mama.